The Kangaroo is a flat ride. It is fun, rerideable, it has a large capacity, and a long duration. This was yet another great flat at the park. The ride really is one-of-a-kind and the air during the ride is incredible, especially since its mixed with powerful laterals. Only negative is a rather short cycle. Very fun and rare flat ride. The ride looks great and the ride was very good. Throughout the whole ride I got lots of air-time going over the hill and decent laterals as well. The cycle was only average though. 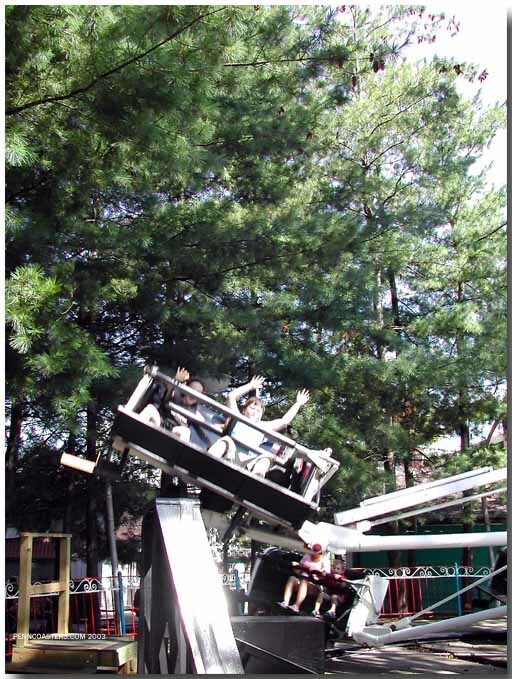 This is not exactly a must-ride on your next trip to Kennywood, but it rivals Paratrooper in rides-that-you-use-to-cool-of-on flat rides. The airtime isnt half bad, and its great for families. It is a unique and interesting flat ride, and if youre at Kennywood, you might want to check this one out. Fun flat ride. Nice for small kids. Nice simple design. OK overall ride. I love this ride!! My niece, and I rode the Kangaroo and we just ran back in line, to ride the Kangaroo again. I encourage anyone to ride the Kangaroo. 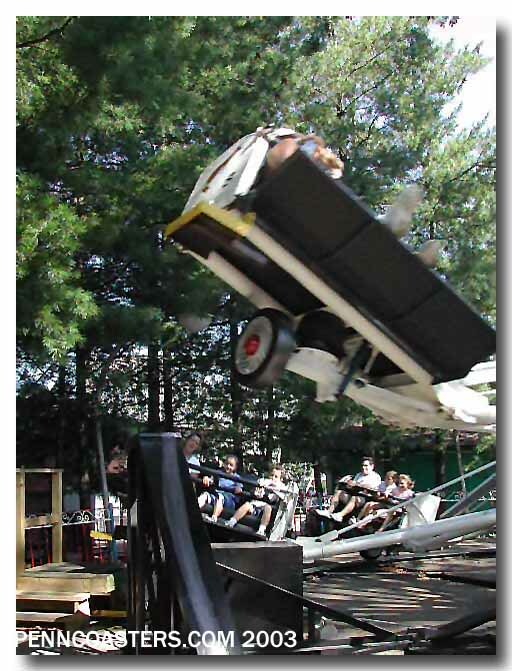 Also,this Kangaroo ride,is the last one,in existence,as Kennywood,owns the only one,in the world. I love this ride! It is so much fun and it is a must ride! You do get a lot of airtime on it and the seats are so big so you can slide around on it. When I went on with my sister she was worried that I would fall out of the seat. All ages will love the ride (except for a certain few people ). I dont understand why some people think it is lame and cheap. Just because its old doesnt mean that its lame, cheap, non-thrilling, or any of that stuff! A lot of the old vintage rides are so much better than some of todays modern overhyped rides. How anticlimactic. I expected major airtime, and I got PHRT! !